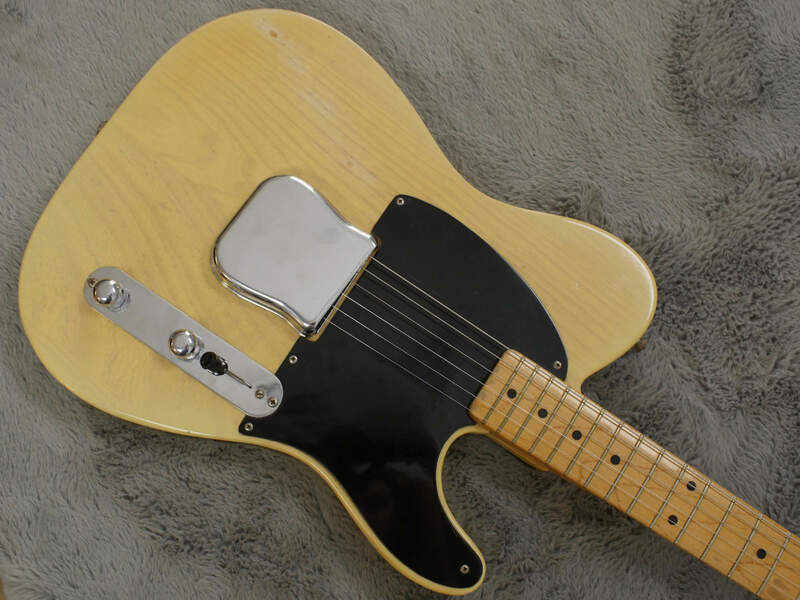 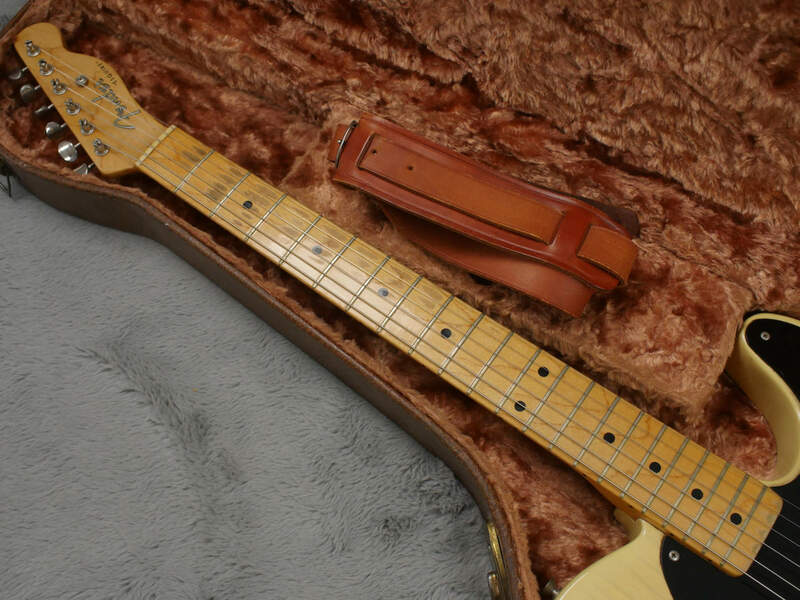 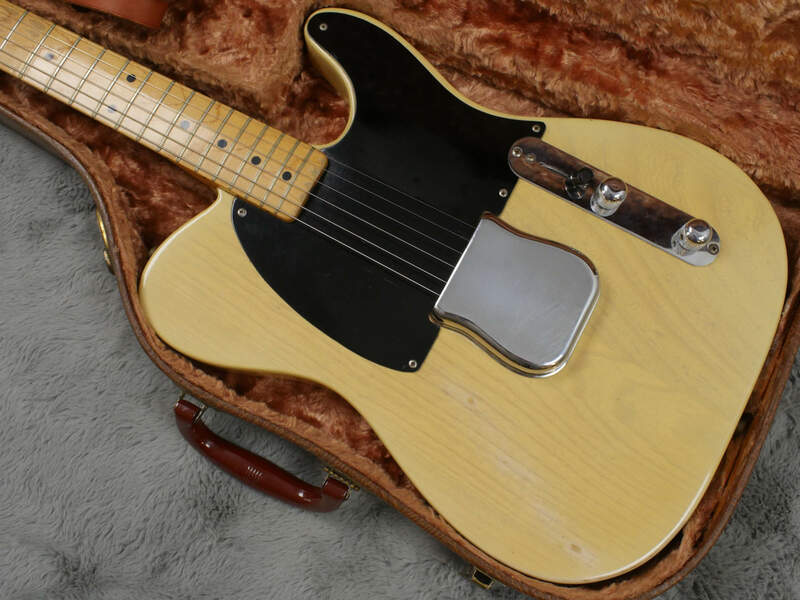 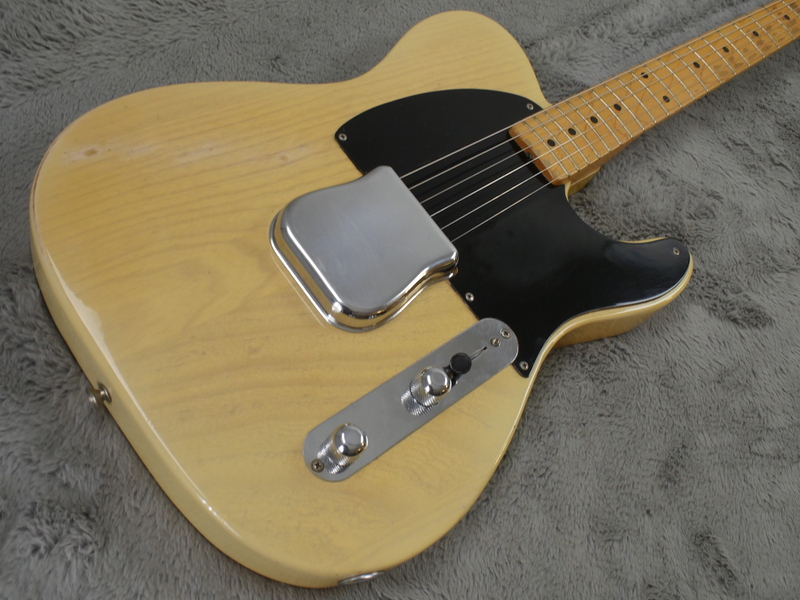 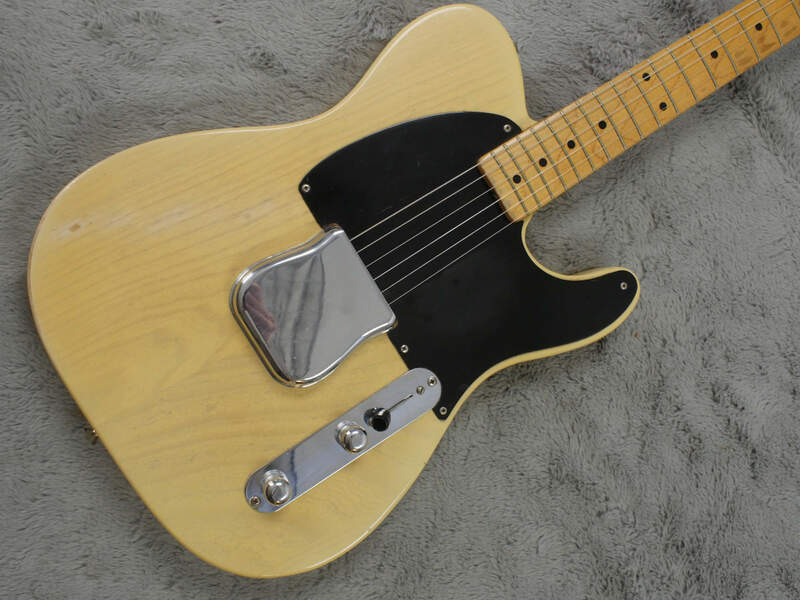 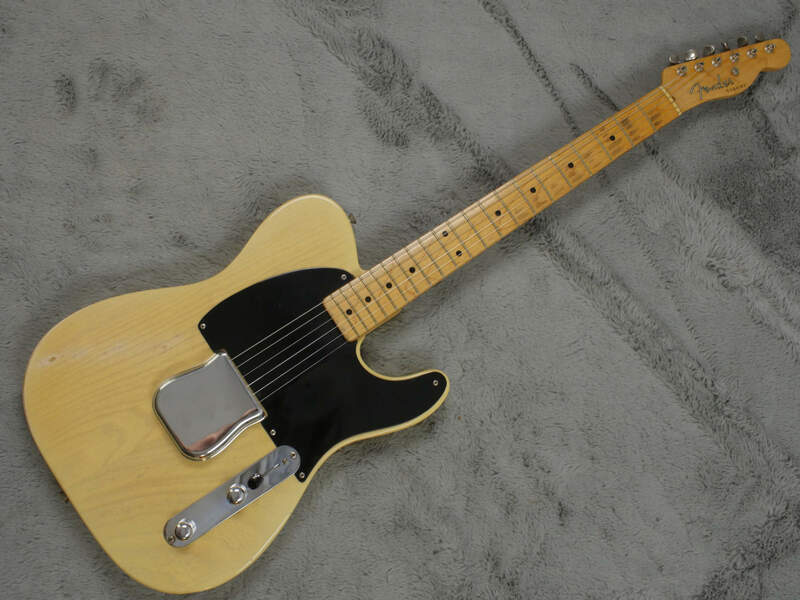 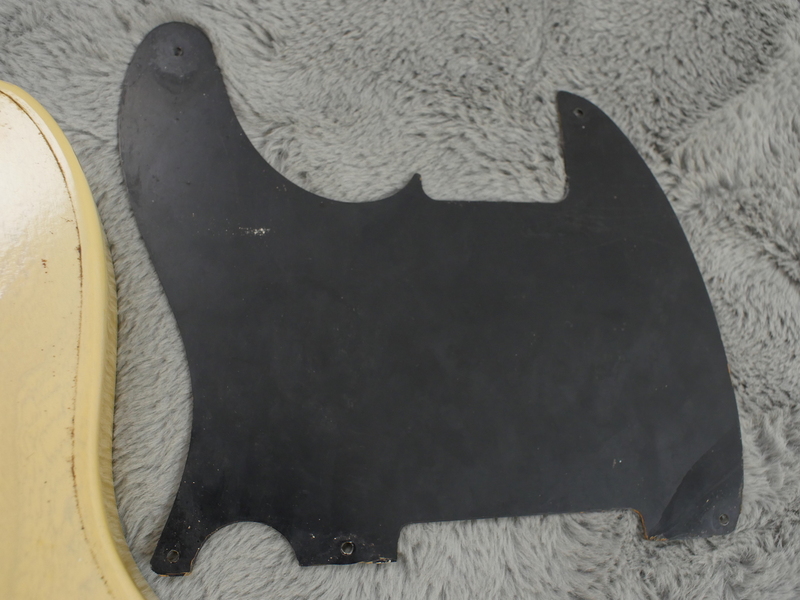 Beautiful 1953 Fender Esquire Blackguard, in amazing condition with all solder joints undisturbed and intact, all parts correct and it even has the original $5k form fit brown case, plus the ashtray with the solder blob. 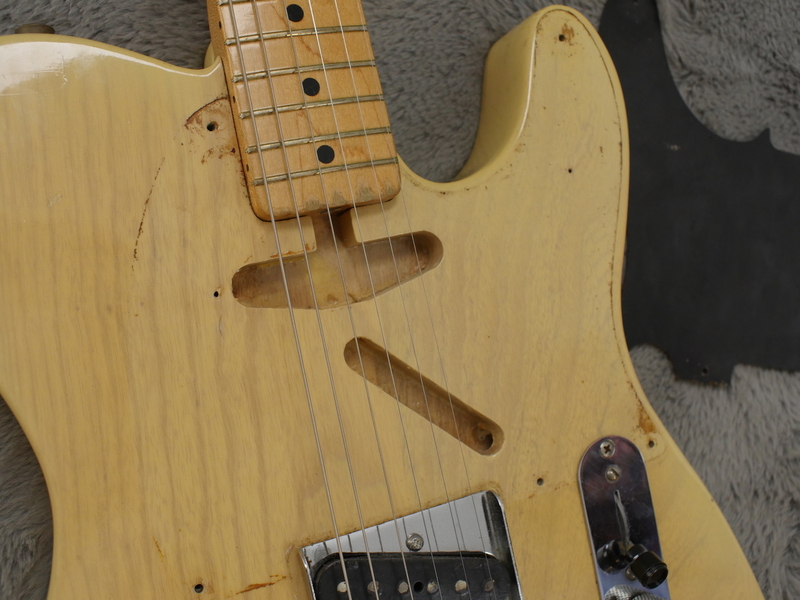 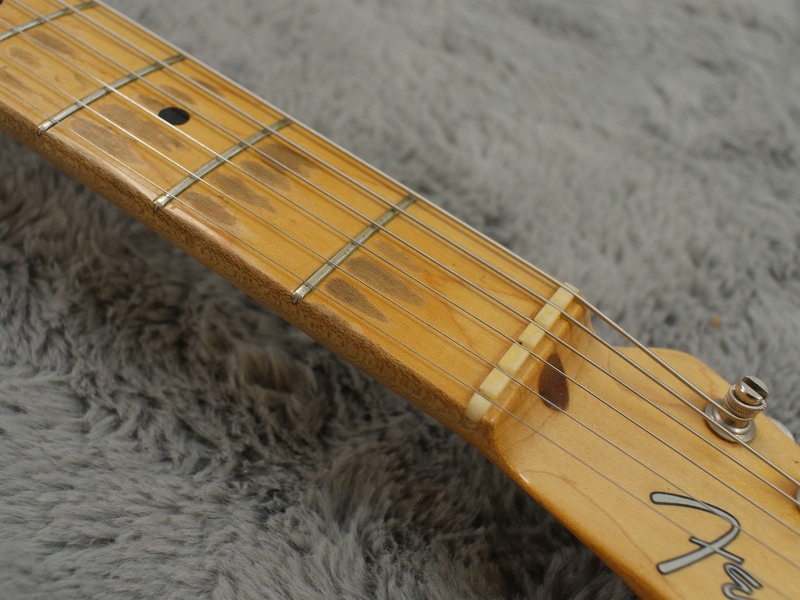 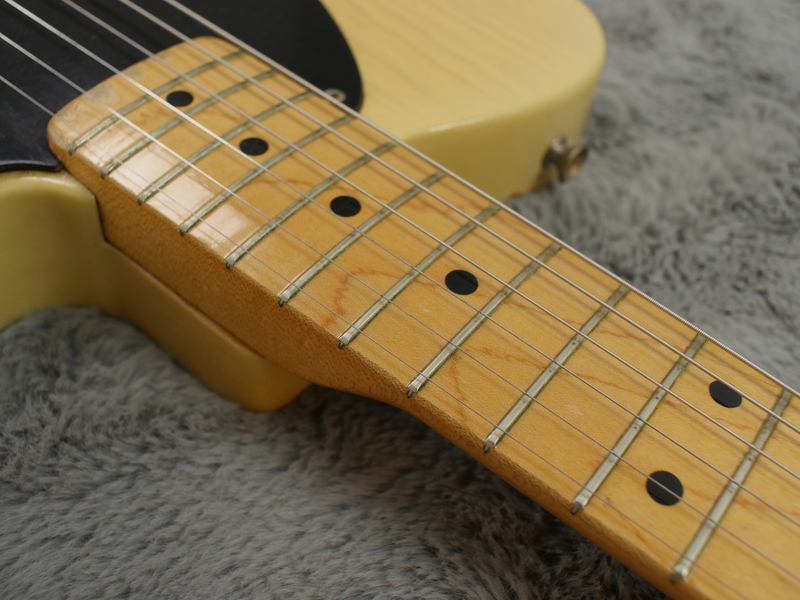 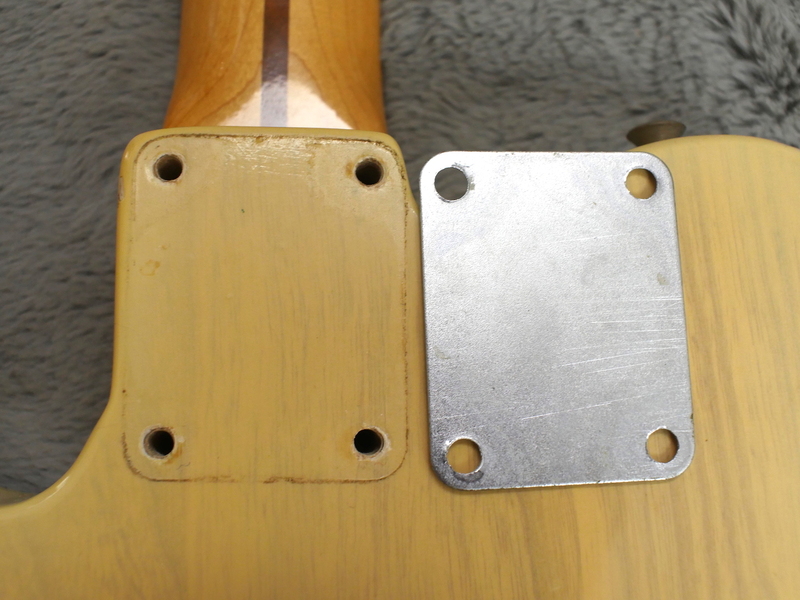 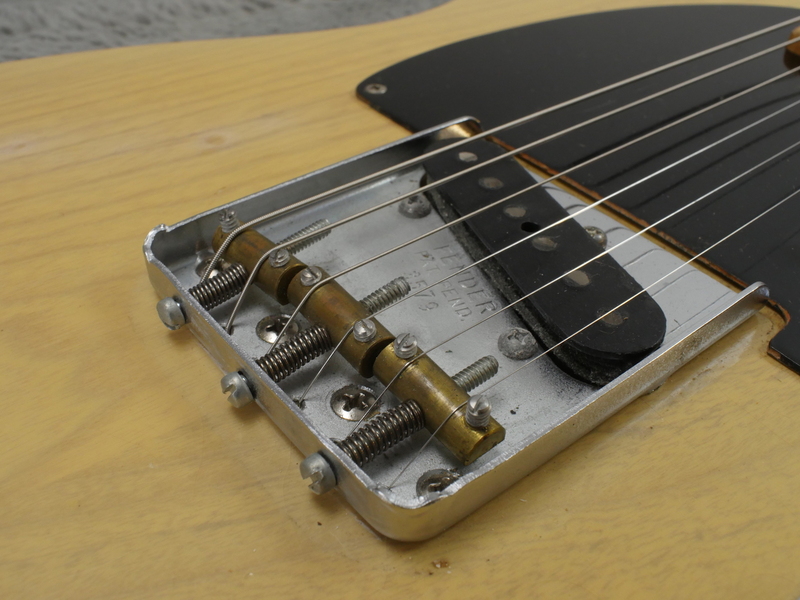 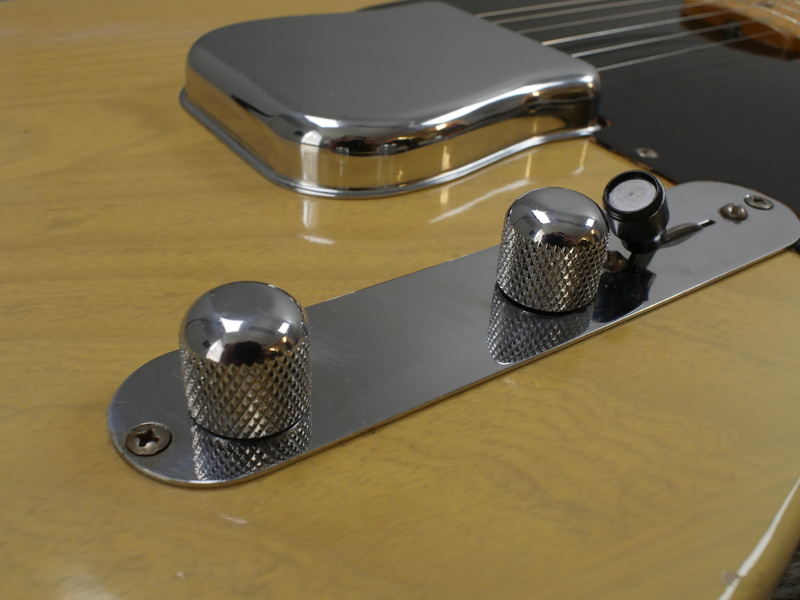 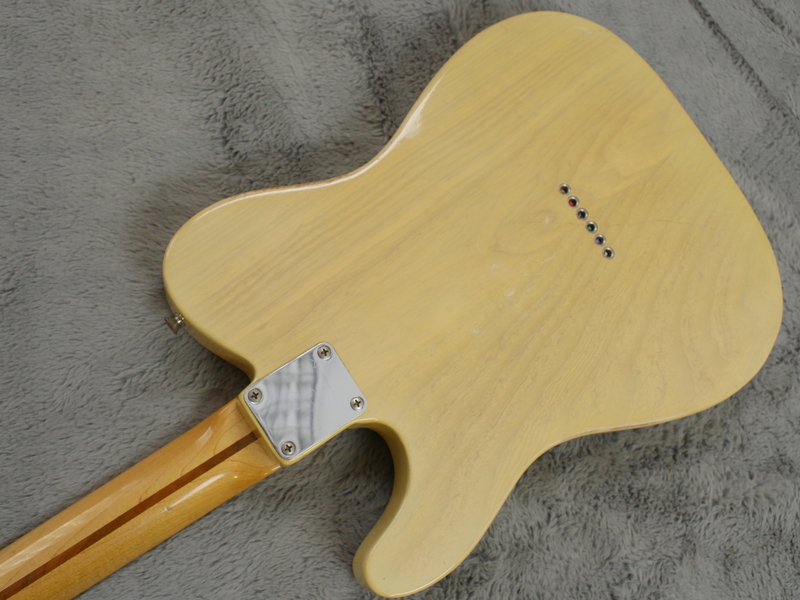 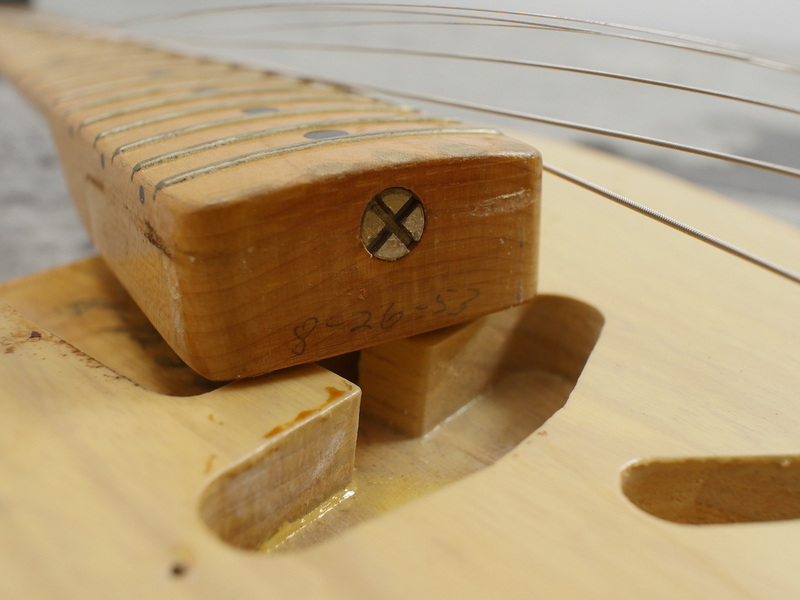 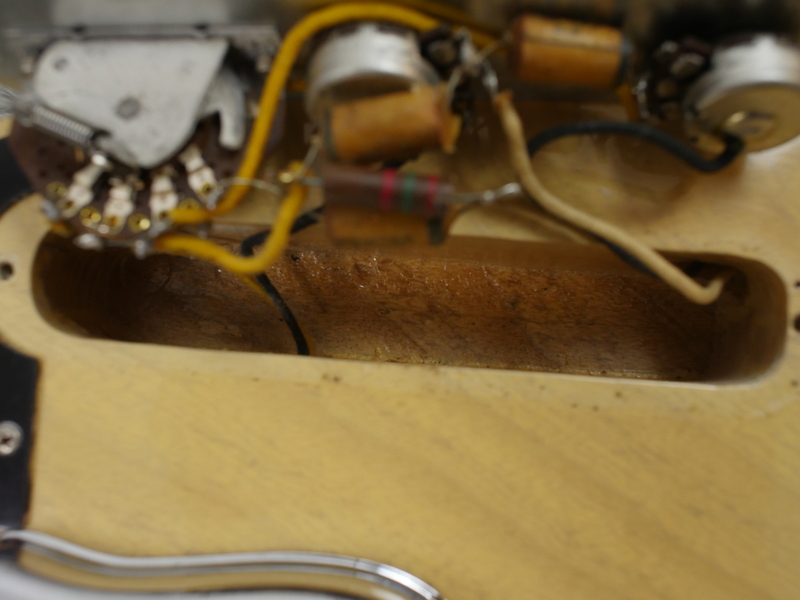 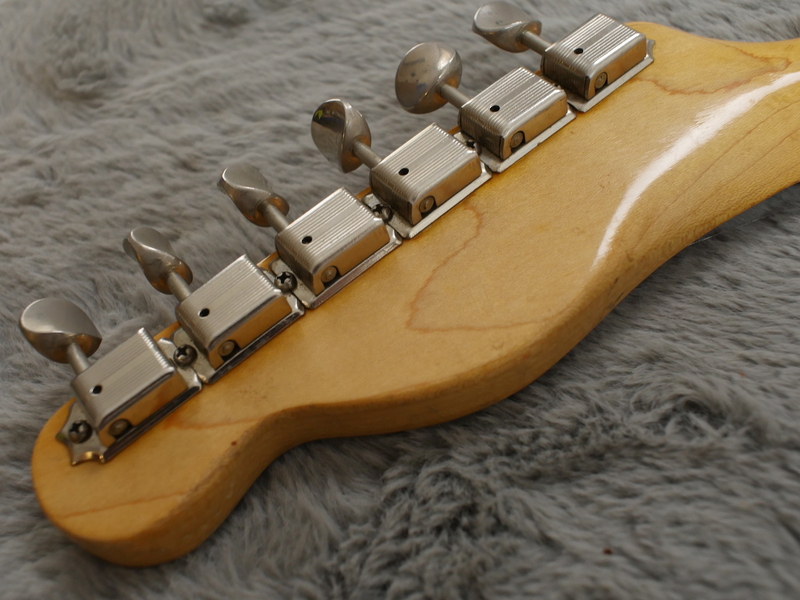 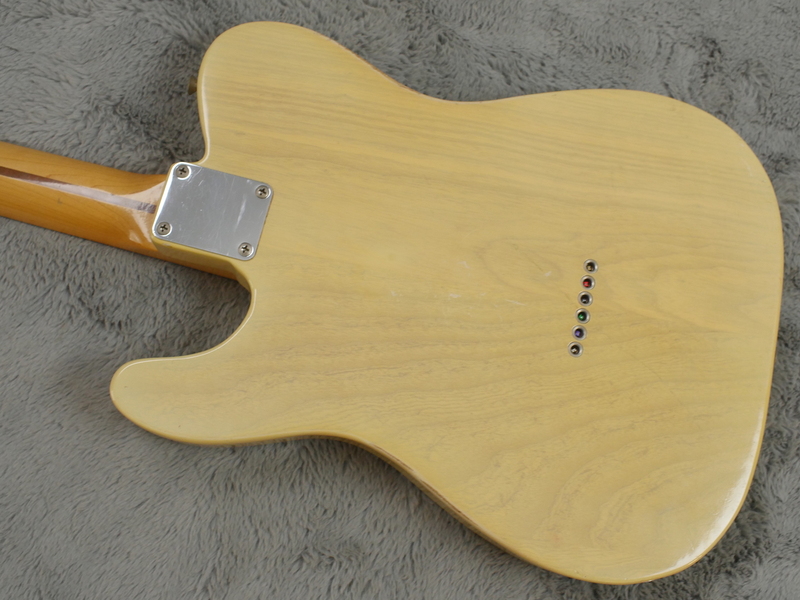 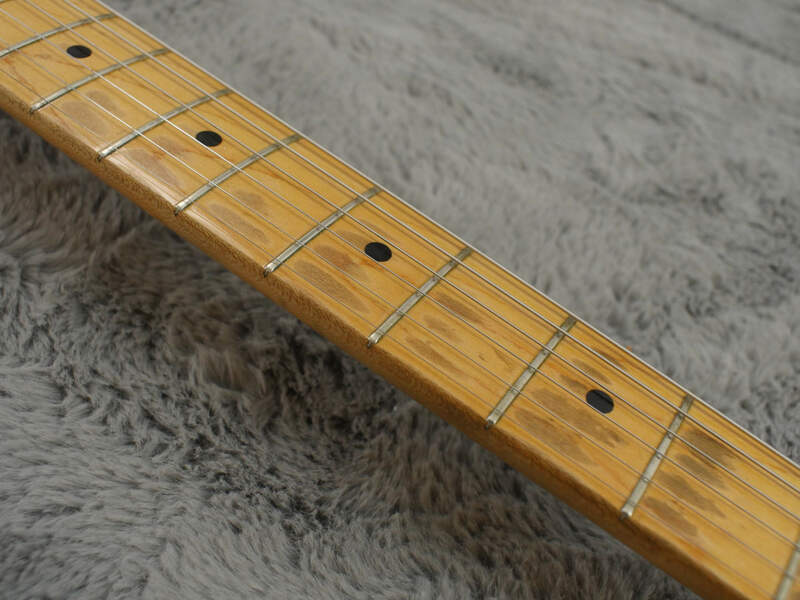 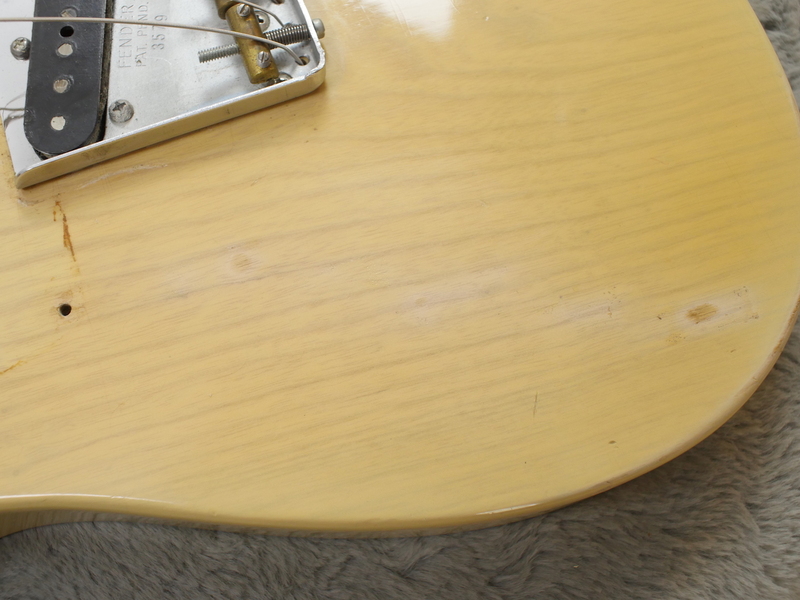 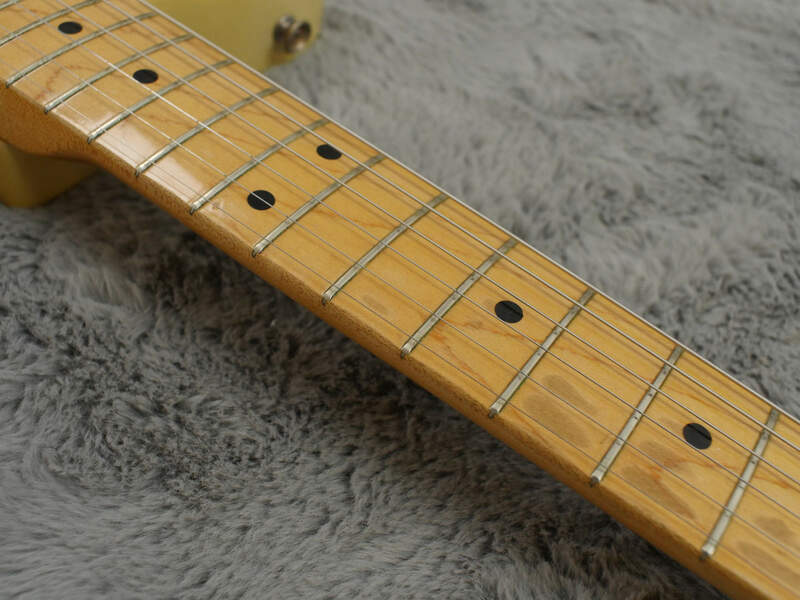 What’s more, this is one of the few that have never been converted to a Telecaster hence no other screw holes are visible in the neck pickup cavity. 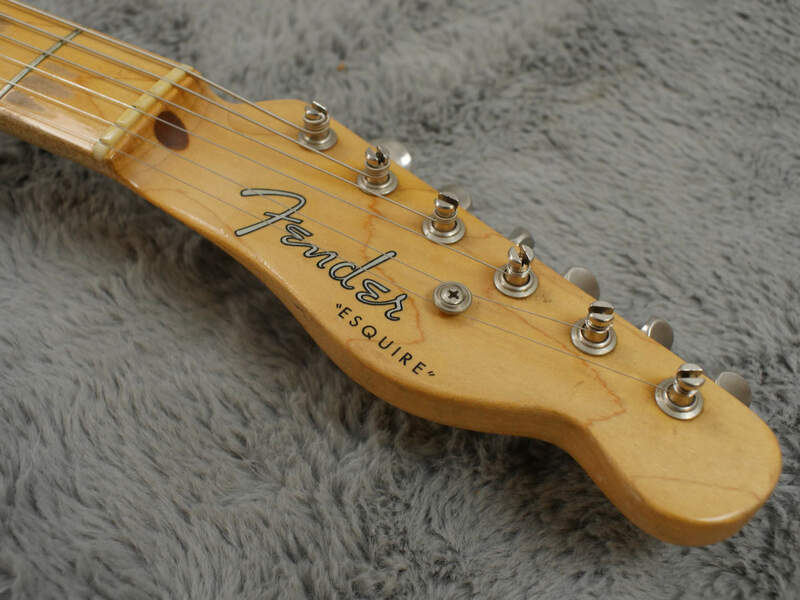 Pretty rare to see that. 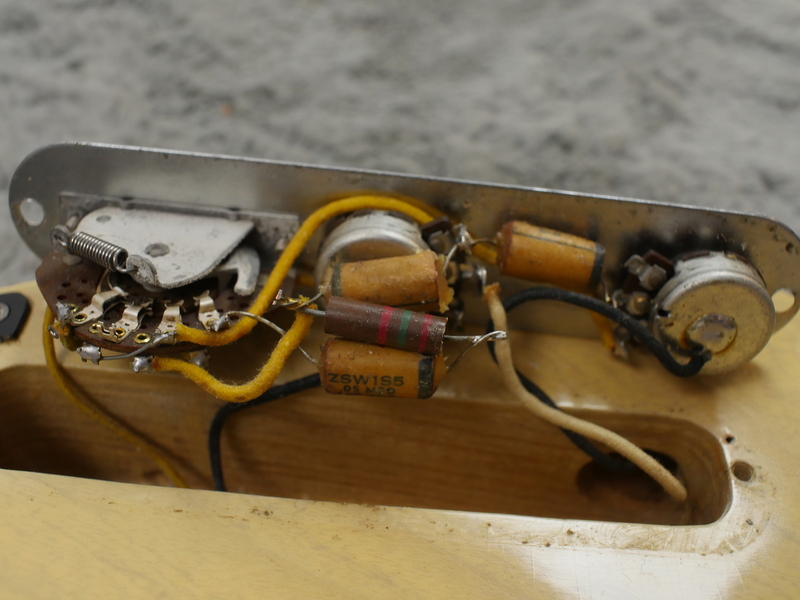 At some stage it looks like 5 x initials were stuck to the top in a diagonal pattern like ‘W A Y N E’ or similar in small rectangular stickers that someone has done a pretty good job removing without disturbing the original finish too much, just the clearcoat. 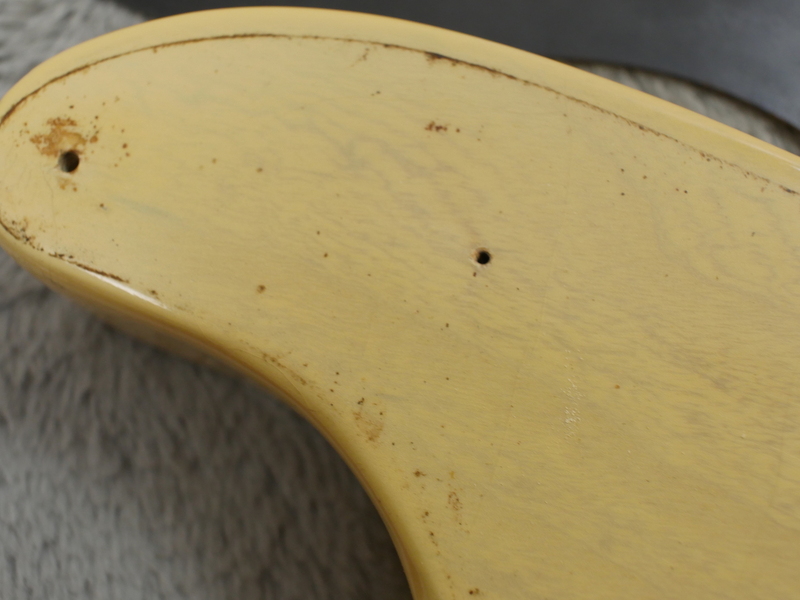 You can see it under black light but it is not too offensive in real light and certainly adds a bit of character to it! 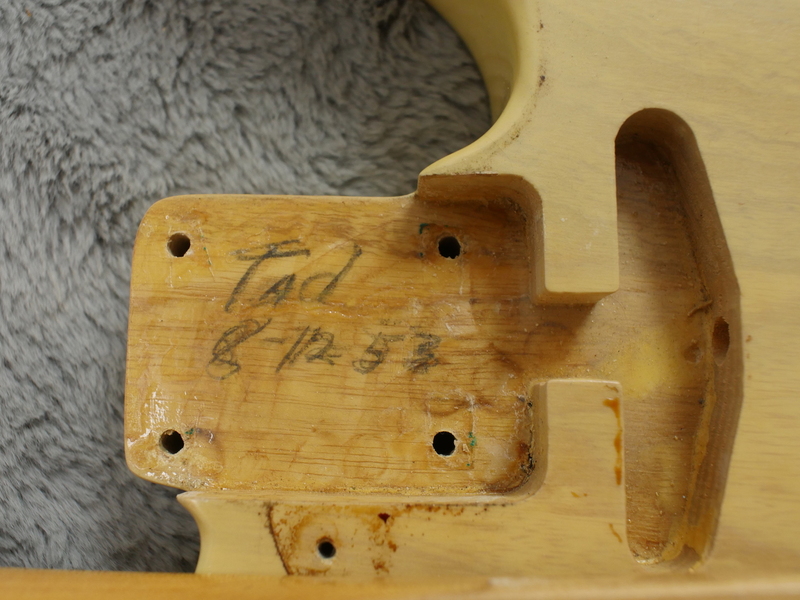 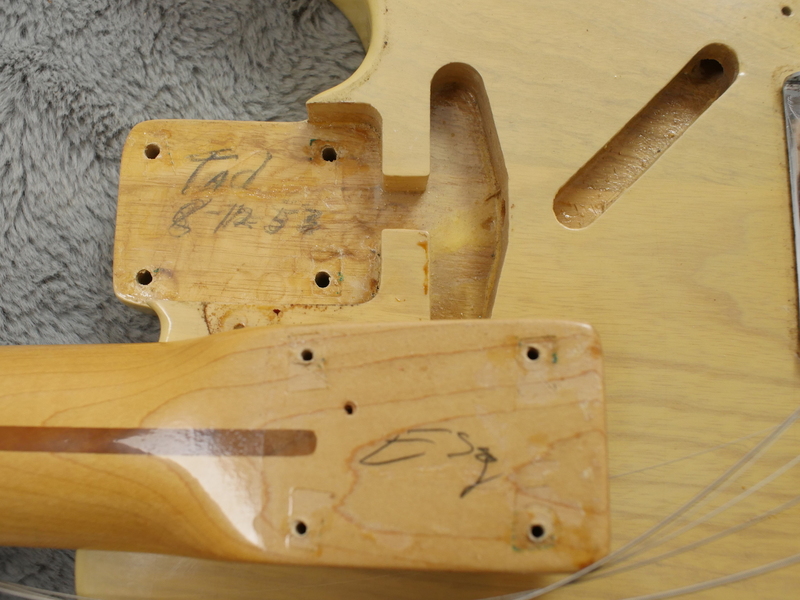 All parts are correct, body is Tadeo Gomez signed 8-12-53, neck is 8-26-53 and serial number is 3579. 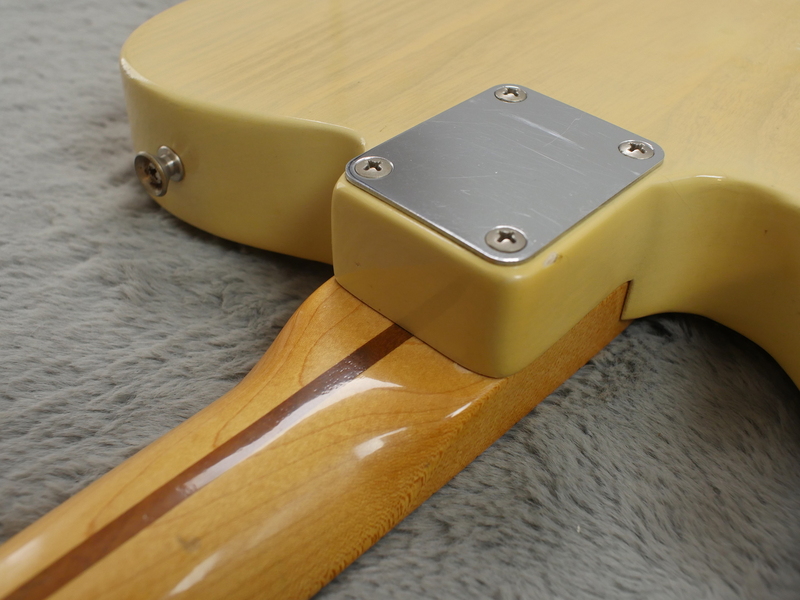 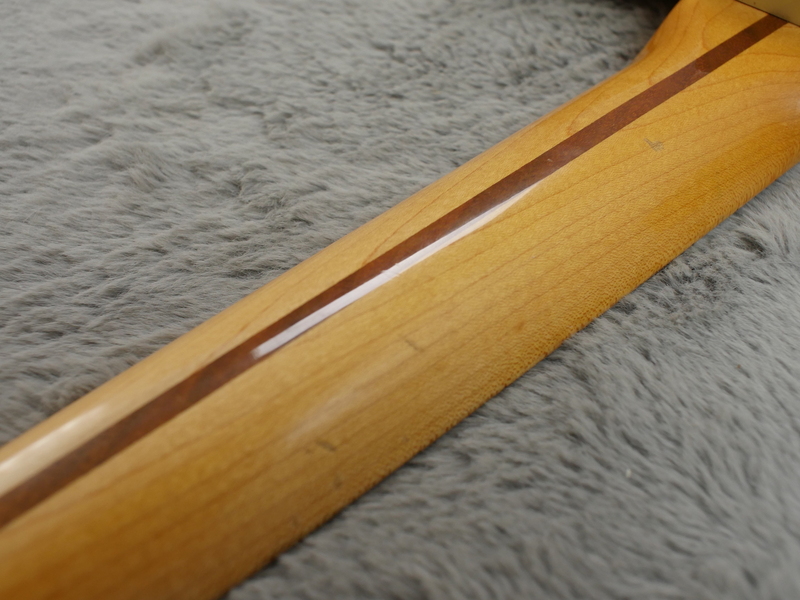 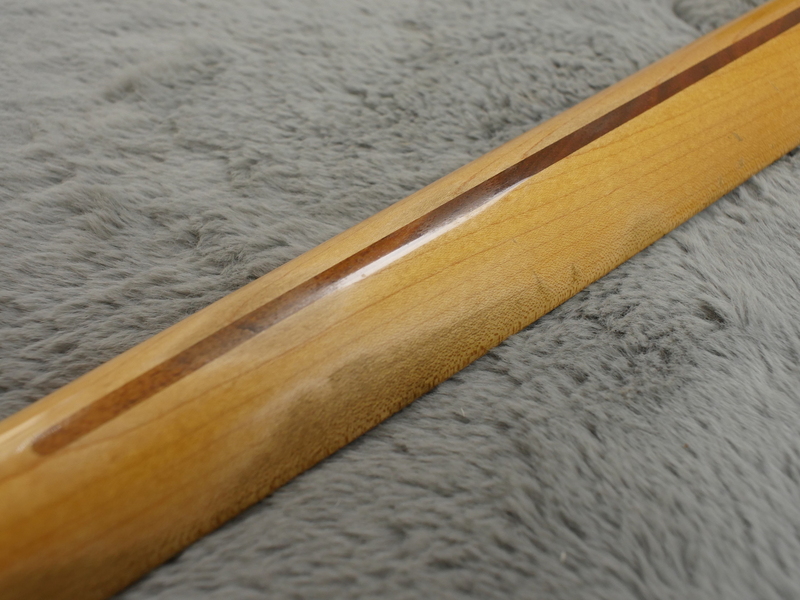 All finish on neck and body is original with no touch ups or over spray. 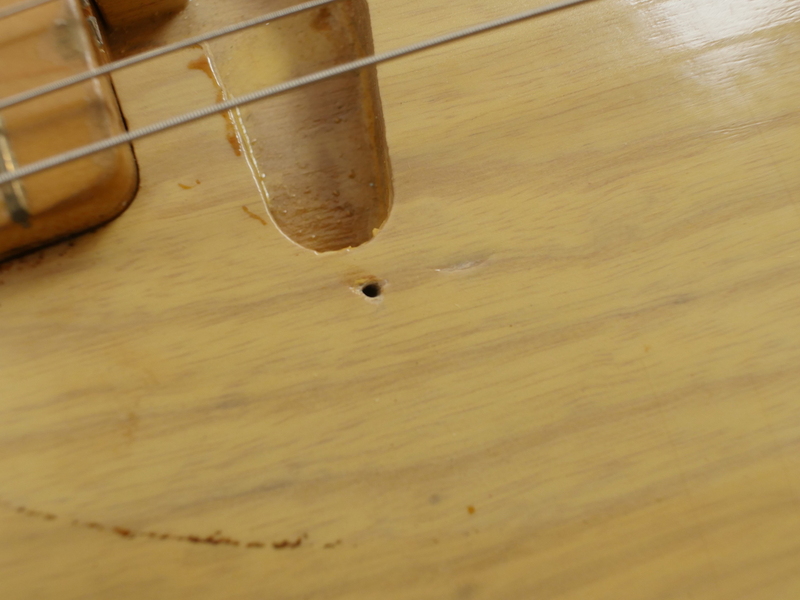 A portion of the clearcoat has been rubbed during the extraction of said letters. 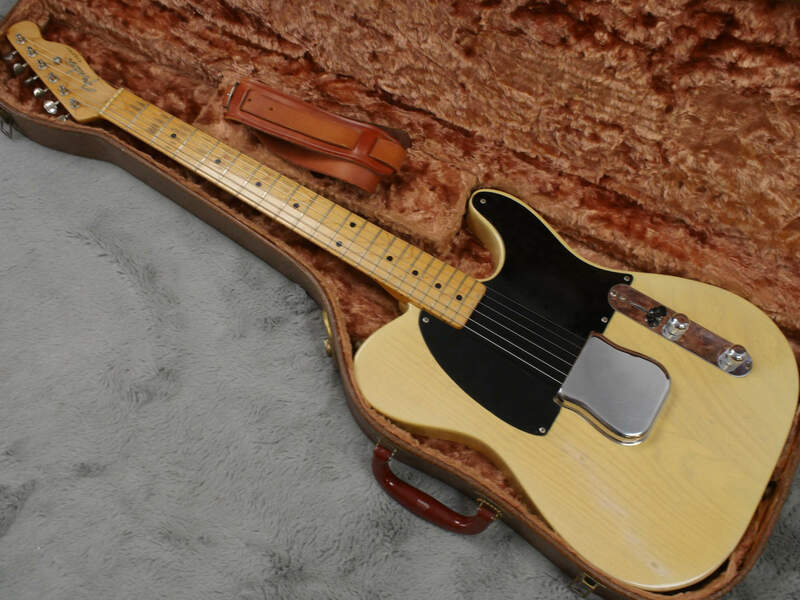 Case is just like the guitar in excellent plus condition. 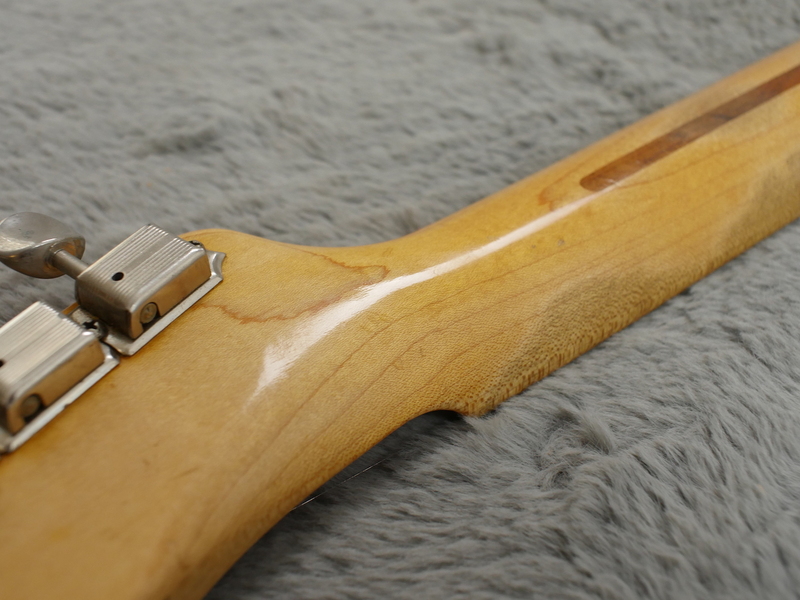 It has very little wear and the handle is all in tact, not broken as are the latches which work fine. 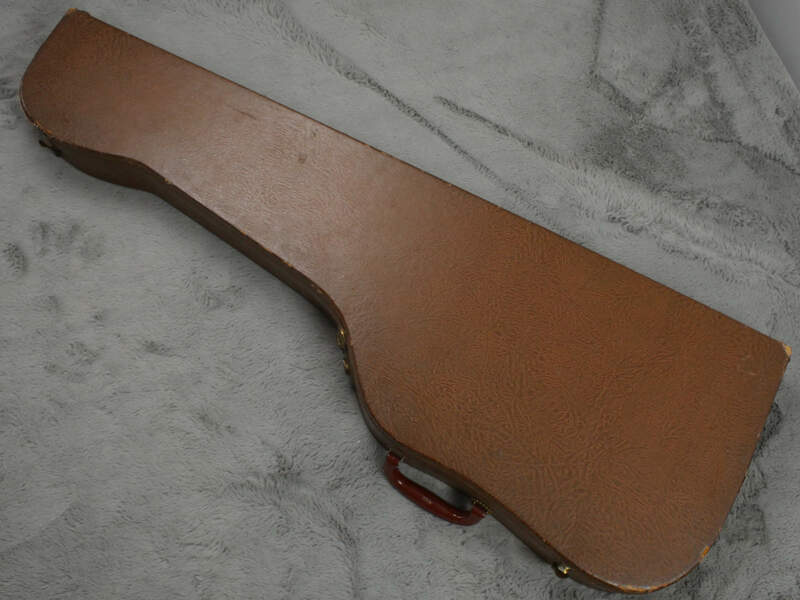 Included in the case is what could be the original strap, in fact it looks identical to all the originals I have seen so this may very well be what came with the guitar when new.